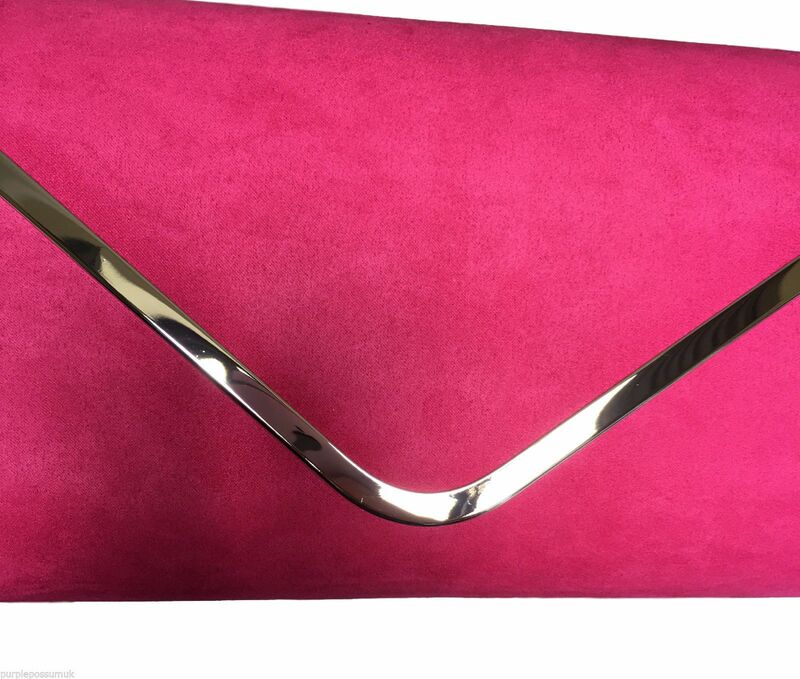 Pink faux suede clutch bag / shoulder bag with Silver tone metal edge trim to the front. The bag fastens with a flap over the top and a concealed metal magnetic stud , it comes with a detachable silver tone metal chain shoulder strap for two different looks. 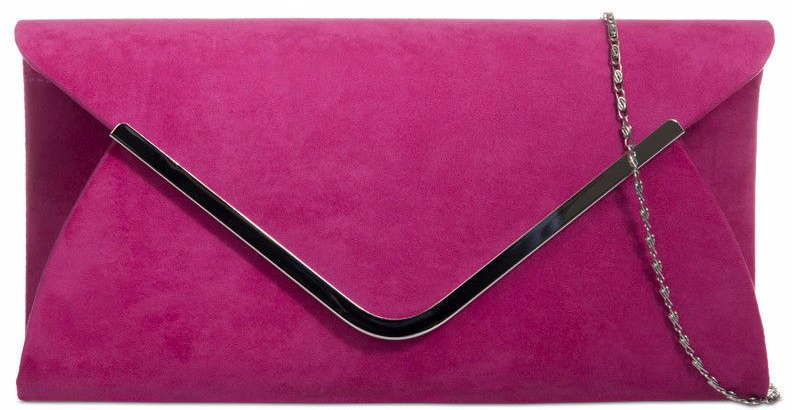 Lovely roomy bag for a clutch, perfect colour with added shoulder strap. Needed for wedding and will hold all necessary items. First class personal sales service.